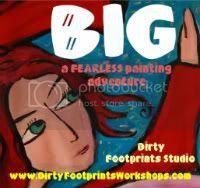 This is the opening week of a painting workshop that I am taking part in called BIG. 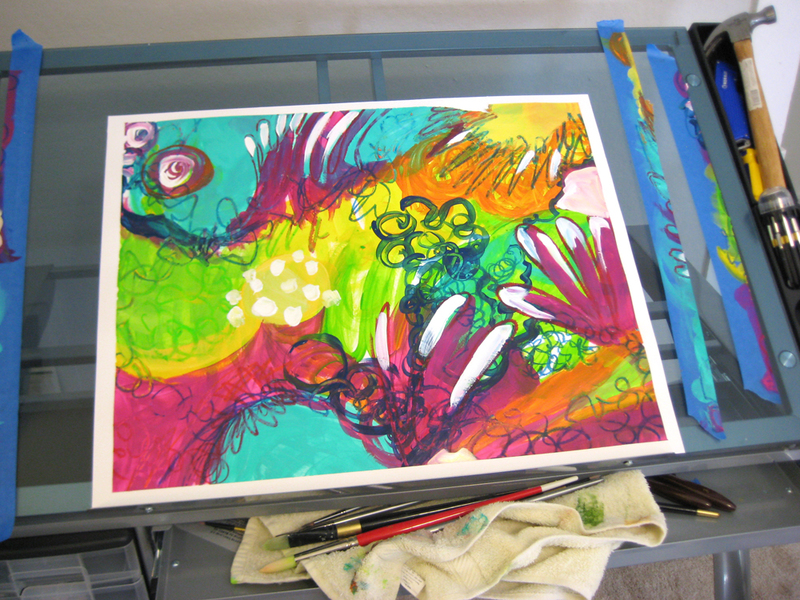 Guided by the absolutely amazing Connie Hozvicka over at Dirty Footprints Studio, this workshop is all about getting back to Creative Source, painting BIG and painting FEARLESS. All things that have been missing in my life of late. Starting out hasn't been fearless at all... in fact, I've been anxious. 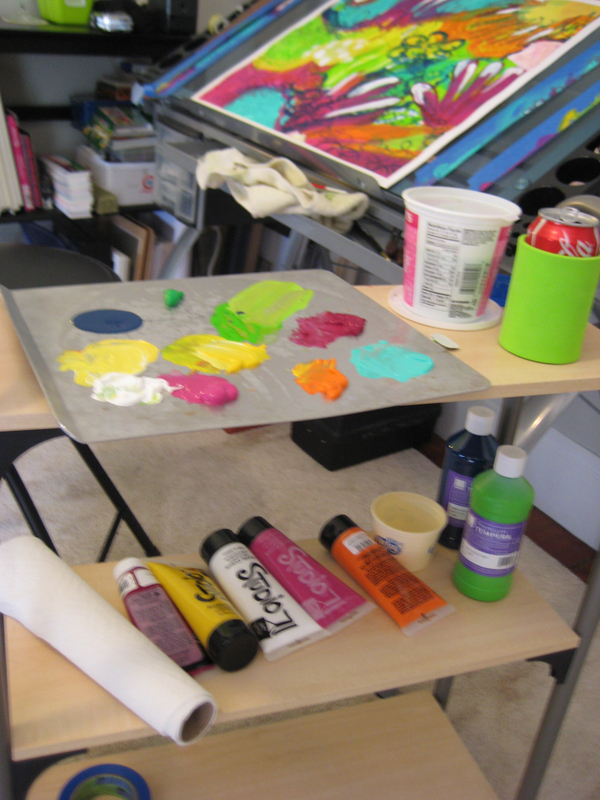 Anxious to start, but also anxious about what would happen when I put paint to paper again. Can you believe it's been over a year!? Yeah, not cool at all. Maybe that's why I've been so cranky? However, all that fear and anxiety evaporated when I just let go and the brush hit the white paper. And you know what? The first thing that happened? I spilled green paint all over the palette and paper. It was great! Like the creative muses were determined to break my perfectionism right from the get go. No neat and tidy little plans here, missy! So how did it all end up today? So so so sooooo awesome Jen! So awesome!